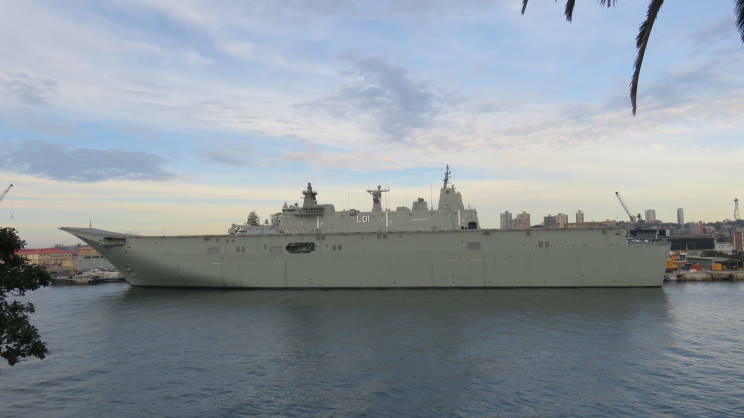 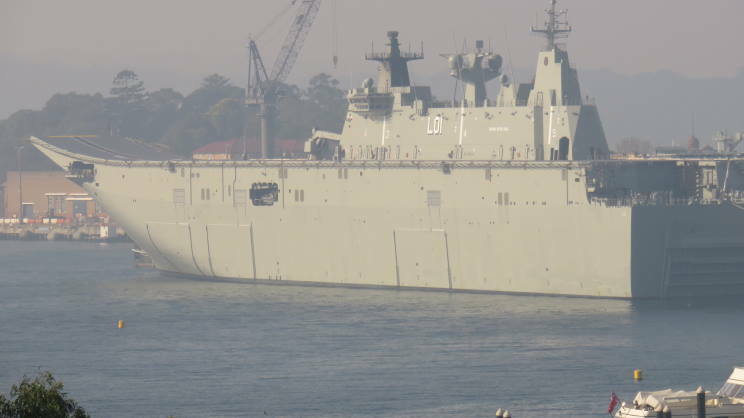 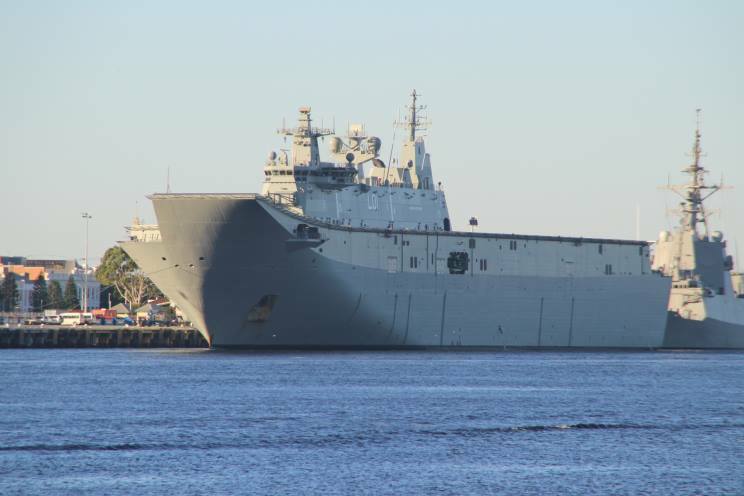 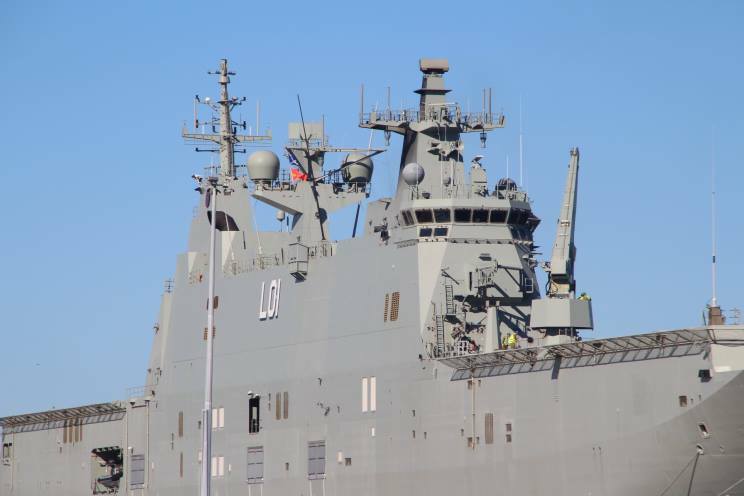 November 8, 2015: Adelaide L-01 seen at Fleet Base East, Garden Island, Sydney, NSW, Australia. 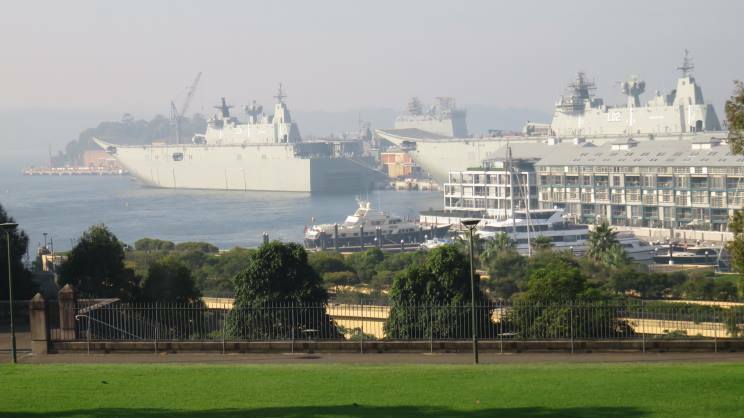 May 7, 2016: HMAS Adelaide L-01 (left) and HMAS Canberra L-02 seen at Fleet Base East, Garden Island, Sydney, NSW, Australia. 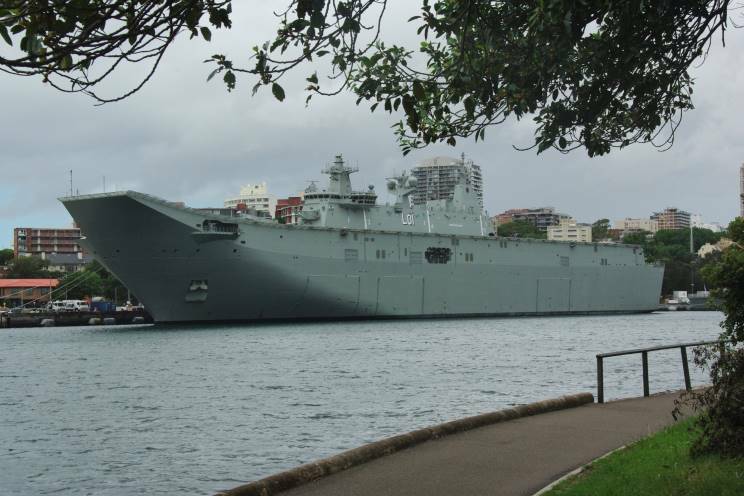 May 7, 2016: HMAS Adelaide L-01 seen at Fleet Base East, Garden Island, Sydney, NSW, Australia. 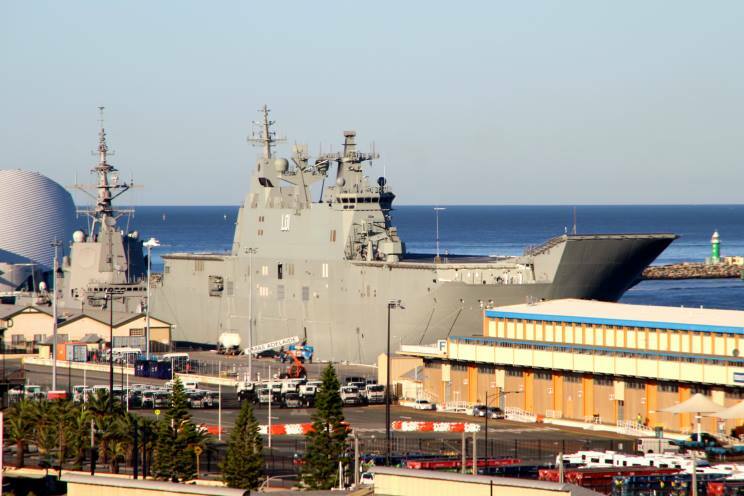 February 24, 2017: HMAS Adelaide L-01 seen at the Victoria Quay, Fremantle, W.A., Australia. 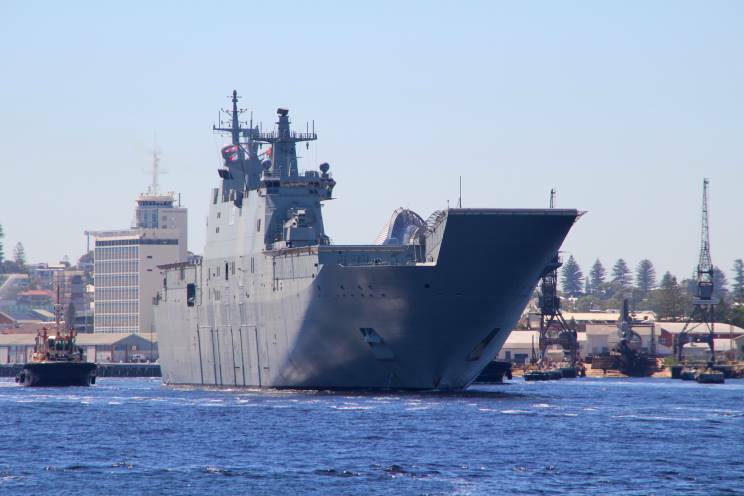 February 27, 2017: HMAS Adelaide L-01 seen departing Fremantle, W.A., Australia for Exercise Ocean Explorer 2017. 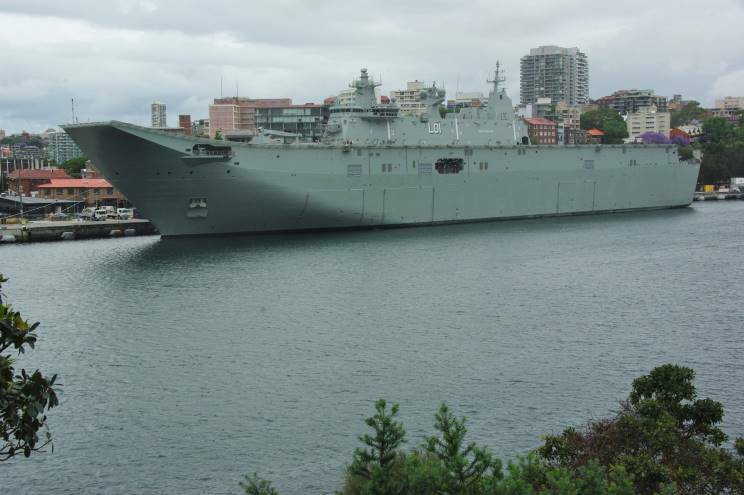 The tug Svitzer Eagle is seen astern.